Tindale Dental - Penrith Dentist > Articles > Article > Do You Really Need to Floss? Have you ever asked your dentist this question? If you have you will know the answer is a definite “yes”! And how often? You should be flossing at least once daily. Brushing your teeth is great for cleaning the visible surfaces, but not so much the surfaces between the teeth. This makes up nearly half the surface area of your teeth. If you fail to floss on a regular basis you will end up with a buildup of food particles, plaque, tartar and staining. This will continue to buildup the longer you neglect to floss and will also become more difficult to clean. As a consequence, you could end up with gum disease, tooth decay and bad breath. Children should also be flossing as soon they have two teeth that are in contact – with adult assistance. 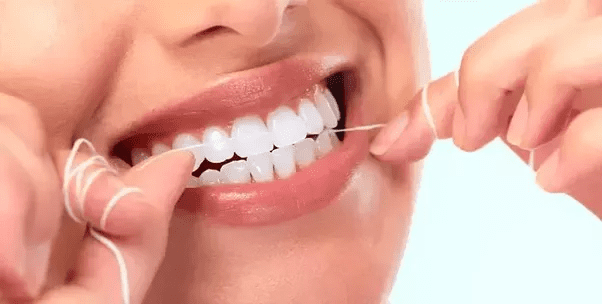 If you would like to know more about the importance of dental flossing please make an appointment with our experienced Penrith Dentists here at Tindale Dental Centre in Penrith on (02) 4722 6115 or (02) 4726 5400. Our experienced and caring Dentists will provide you with the best tools and techniques for improving your dental hygiene.